So, for me, hairbands aren't really a 'trend'. I have always worn hairbands. Since I had hair, I wore ones with flowers on, with my name piped on in glitter gel, with little dolls on. Then as I got older, I had hair clips plastered all over my head, bobbles with teddy bears on and thin hairbands to keep my fringe back when I was thinning it out. In more recent years I've bought them cheaply from Claire's accessories in all the colours of the rainbow, and now everywhere I look there are hairbands with huge bows on. Here's some of my own. I had to be slightly emo and hold the camera up above my head hehe. So, who have we to blame for this bow hairband obsession? I'm going to say Gossip Girl and Luella! 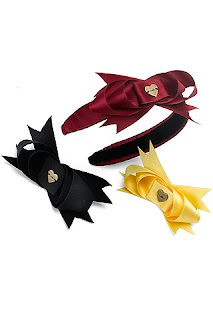 The bow hairbands are cute, and I've bought a couple, but they are a trend and we'll all be bored of them soon won't we? But I won't be bored of hairbands! Never! 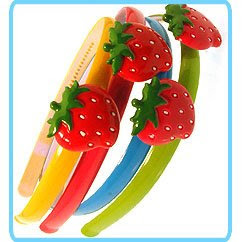 So here's some non-bow hairbands which are still super cute. 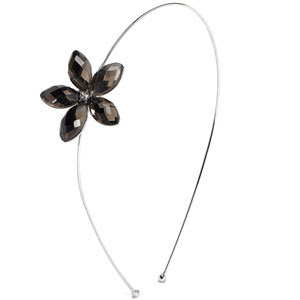 Claire's have a rubbish website, otherwise I would show some from there cos there's loads!! These are from Heidi Seeker and take me right back to childhood, plus the price is pretty good! I put in this one from the ever-wonderful Dolly Dagger as it is reduced at the moment! Wooh! P.S. The black and white you can see in my photos is a hint of a new dress which will be revealed in all its glory in my next post! Yay! your headbands are great! it's such a lovely trend.. too bad it doesn't wotk with my curls. Aw you suit headbands. I don't for some reason, which is a shame because I have the cutest braided elastic gold headband and argh I love it so much but it looks strange on me! The strawberry one is cute!!! 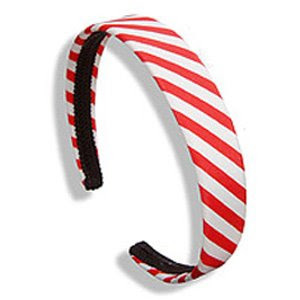 I love headbands too, they're so much fun and so sweet. The TopShop bow one especially caught my eye!